(KPAX) Democrat Kathleen Williams is kicking off her 2020 campaign Friday in Billings, but she hasn’t said which office she’s seeking. The former Bozeman legislator sent an email to supporters Tuesday announcing a Kathleen for Montana 2020 Kickoff Rally at 4:30 p.m. Friday at the Yellowstone County Courthouse Lawn. She has three options: the U.S. House, the U.S. Senate or the open governor’s seat. Williams lost her congressional bid in 2018 to Republican Rep. Greg Gianforte, who is believed to be considering a run for governor. Incumbent Democratic Gov. Steve Bullock is term-limited. Additionally, U.S. Sen. Steve Daines, a Republican, is up for re-election for the first time in 2020. Except for Bullock, who is mulling a presidential run in 2020, Williams is the highest-profile Democrat seeking statewide office. 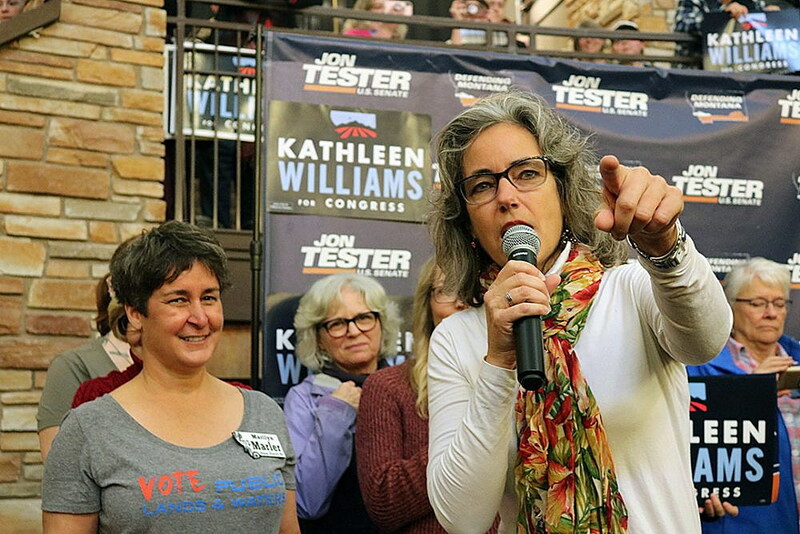 She pulled off a surprise primary win in 2018 against two better-funded candidates before taking 46 percent of the vote in a losing effort to Gianforte.